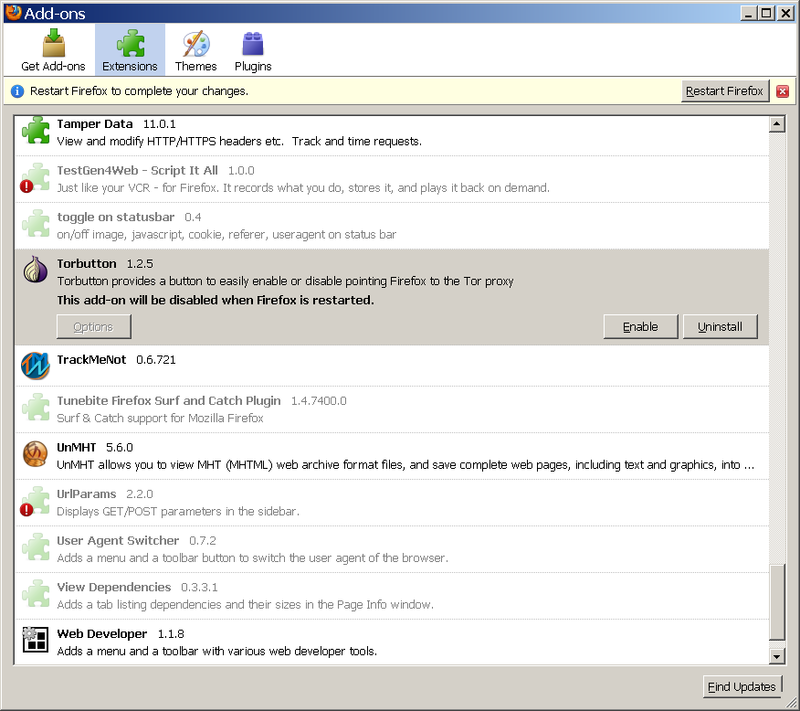 Browser version: Firefox 3.6.12 with numerous add-ons. You should be on “Your Certificates” tab. Press “Import” button.Browse to the directory where the certificate file is located. Choose it. A suggestion from some web discussion forum (https://bugs.launchpad.net/ubuntu/+source/firefox-3.0/+bug/198841) said that the “Torbutton” extension may be a cultprit. First disable Torbutton. 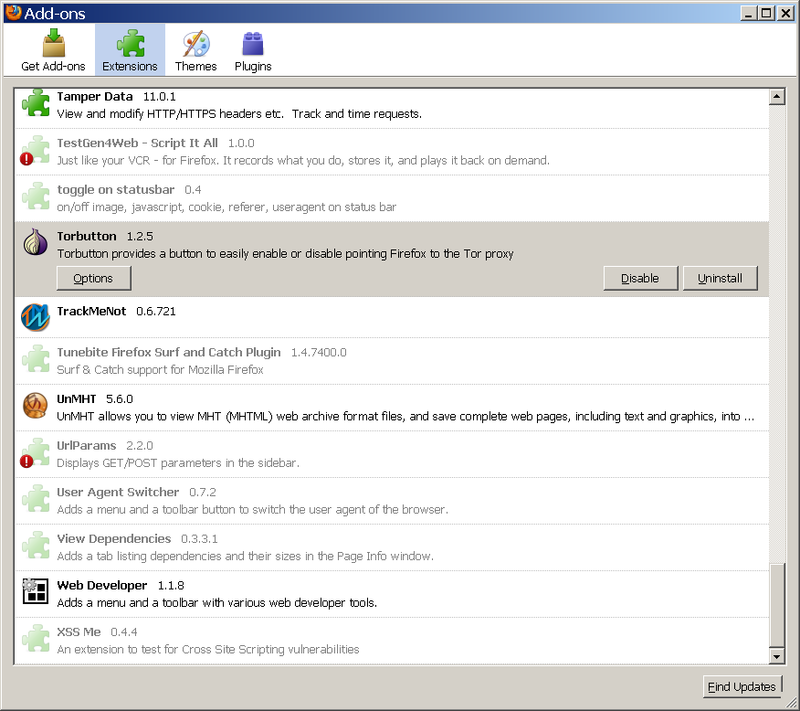 Open Tools > Add-ons > Extensions. Enter the password and pres OK button. 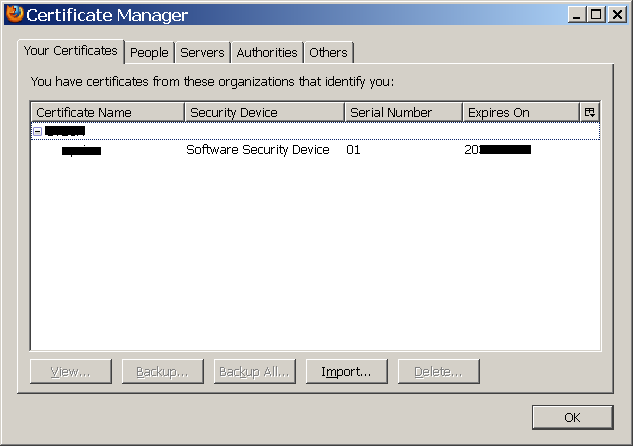 Related local content: Installing SSL certificates – https://eikonal.wordpress.com/2010/12/01/installing-ssl-certificates/. 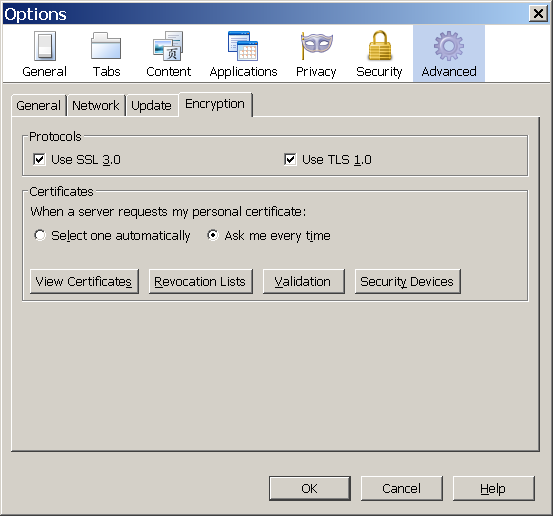 Related local content: Problem with importing the client-side SSL certificate into Firefox – https://eikonal.wordpress.com/2010/12/06/problem-with-importing-the-client-side-ssl-certificate-into-firefox/. To be fair, Duong and Rizzo’s exploit isn’t the easiest to pull off. Attackers must already control the network used by the intended victim, and they can only recover secret information that’s transmitted repeatedly in a predictable location of the encrypted data stream. They must also have means to subvert a safety mechanism built into the web known as the same-origin policy, which dictates that data set by one domain name can’t be read or modified by a different address. \We present a new fast block-wise chosen-plaintext attack against SSL/TLS. We also describe one application of the attack that allows an adversary to efficiently decrypt and obtain authentication tokens and cookies from HTTPS requests. 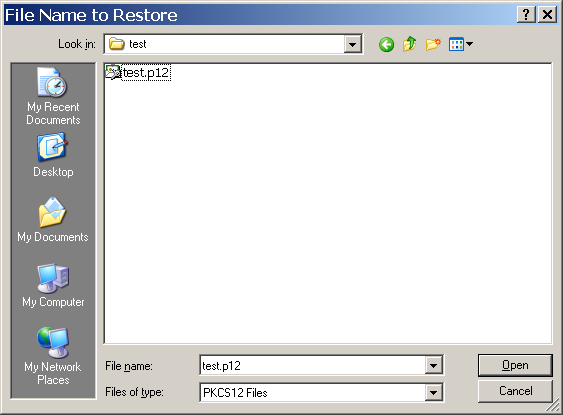 Our exploit abuses a vulnerability present in the SSL/TLS implementation of major Web browsers at the time of writing. The revelation that the last two versions (1.1 and 1.2) of the TLS cryptographic protocol are safe from such an attack gives almost no satisfaction, as the overwhelming majority of websites protected by it support version 1.0. He also claimed that with recently made improvements, it is able to decrypt a typical 1,000 to 2,000 characters long cookie in under ten minutes. Also, that other applications that use the vulnerable TLS version – such as instant messaging and VPN programs – could be attacked with BEAST. Although TLS 1.1 has been available since 2006 and isn’t susceptible to BEAST’s chosen plaintext attack, virtually all SSL connections rely on the vulnerable TLS 1.0, according to a recent research from security firm Qualys that analyzed the SSL offerings of the top 1 million internet addresses. Chief culprits for the inertia are the Network Security Services (http://www.mozilla.org/projects/security/pki/nss/) package used to implement SSL in Mozilla’s Firefox and Google’s Chrome browsers, and OpenSSL (Ma href=”http://openssl.org/’>http://openssl.org/), an open-source code library that millions of websites use to deploy TLS. In something of a chicken-and-egg impasse, neither toolkit offers recent versions of TLS, presumably because the other one doesn’t. 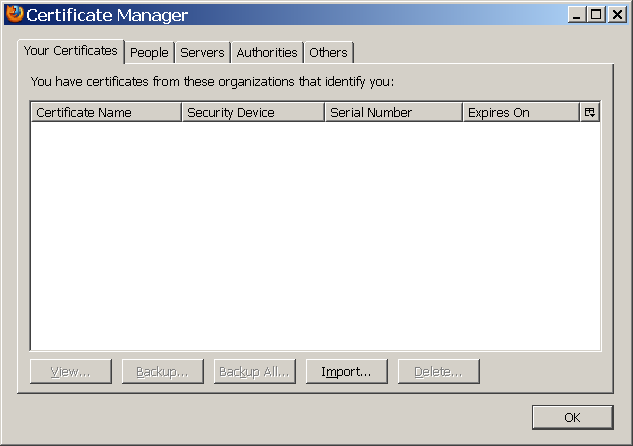 “Certified Lies: Detecting and Defeating Government Interception Attacks Against SSL” (Cryptogon.com; 2011.01.31) – http://cryptogon.com/?p=20288 | download – http://files.cloudprivacy.net/ssl-mitm.pdf. hijack individuals’ secure Web-based communications. Although we do not have direct evidence that this form of active surveillance is taking place in the wild, we show how products already on the market are geared and marketed towards this kind of use—suggesting such attacks may occur in the future, if they are not already occurring. Finally, we introduce a lightweight browser add-on that detects and thwarts such attacks. Abstract: This paper introduces a new attack, the compelled certificate creation attack, in which government agencies compel a certificate authority to issue false SSL certificates that are then used by intelligence agencies to covertly intercept and hijack individuals’ secure Web-based communications. We reveal alarming evidence that suggests that this attack is in active use. Finally, we introduce a lightweight browser add-on that detects and thwarts such attacks.